Why blog? This question is often asked by people with regular websites who have yet to enjoy the experience of blogging. It is also asked by those new to the internet, and who may be unsure what communications platform to set up. Why not Facebook? Why not just stick to Twitter? The answer lies in the depth of information you can impart by blogging. Why blog when you can achieve instant communication with Twitter? Frankly, because all Twitter can do is to lead followers to your website or blog, but not substitute it. If your blog is the theatre, Twitter and Facebook are the billboards! So before we discuss the questions to answer before starting blogging, let’s have a look at the reasons why so many people have chosen blogging over running a regular website. There are two primary reasons: SEO and regular communication. Search engines love change. We are using Google as our example search engine here because it is by far the biggest and most popular. There’s no point in having a website if it cannot be found online through a Google search box. Your blog is a website, but not static as most websites are. That means that the content on a blog is always changing, while that on a regular site tends to stay the same week after week, month after month. Google loves change, and the reason you see so many blogs and forum posts on the first page of Google for many searches is due to this. Blogging provides an ideal way to keep your content fresh. Google not only lists your posts, but also takes note of the continuing addition of comments to your blog. Why blog? Because it gets you high rankings and lots of exposure online! However, before you start blogging there are several questions you should ask, and if you don’t then you will likely not make the best use of this fabulous means of contacting people online and getting lots of online exposure for your business, hobby site or charity blog. These questions relate to any blog, whether it is for profit or not. 1. Why Blog: What is Your Blog For? You must first be clear in your own head exactly what your blog is for. You can’t just think “I will put up this blog and see what happens” – you must have a specific purpose – an objective! That might be to make money for yourself, to raise cash for a charity, to share your hobby or to help other people with their problems. 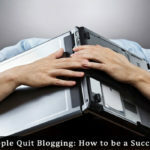 There are many more reasons why people run blogs, and you must be sure of yours. The reason for that is not just to focus your mind on the number and type of posts you make, but also to help you to direct your promotion and advertising to the right group of people, and to decide how much to spend while you are doing this. It is always best to set a budget for your expenditure. It is usually easier to do this for a non-profit blog because you know how much you have to spend each month or even each year. 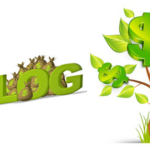 If your blog is your business, then it must generate its own expenditure, which is more difficult to plan. A blog that is intended to promote an offline business comes somewhere between the two – funding is available, but it may still have to be self-sufficient. 2. Who Are Your Readers? You must define the readers you are trying to make contact with, and what they are looking for. If your niche is weight loss, then you are trying to attract people who have to lose weight – obviously! What if you blog about fashion – who would your readers be then? How about internet marketing and you have a product to sell – an eBook on SEO or traffic generation. What then? Maybe you have affiliate products to sell. In each case you must define your target audience and understand what they are looking for, where they normally look for it, and where they discuss their needs and wants. Why blog if you are not targeting a specific group of people and connecting directly with those you are targeting? 3. What do you Offer Them? These are fine as long as you include the author’s resource intact with a link to their website. Google can reward you for providing good relevant content on your blog, even though it has already been published. You won’t be punished for duplicate content unless your entire blog is full of it, but your post will likely not be listed. However, you may be given ranking points for offering your readers a good range of content. Such as ‘About’ and ‘WikiHow’ – do not copy such material directly, because they have copyright. Read the Terms and Conditions and you will understand the limitations. However, they are a good source of content that you can research and then write in your own words on your own blog. Do not rewrite such content, but use it to research your own material. By far the best way of generating blog content is to carry out research online and learn all you can about a topic. Then write about that topic in your words and in your own style. People can see through whether or not you know your subject or whether you are simply rewriting information you have read. Forums can be very rich sources of useful information. You can hunt for problems or issues that people have in your niche and the answers provided to solve them. You can use this information in your own blog. You could list the issues you have discovered, and then answer them. However, don’t put all your eggs in one basket – use the solution or suggestion for each problem or issue as a separate blog post. This could keep you going on material for days – or even weeks! You might want to write all you know about a topic in your first blog post. Don’t!! Keep it back and issue it slowly over time. If you blog everything you know in your first week, or even month, what then? Your readers will start to trickle away because you have nothing more to offer them. Throttle back a bit, and trickle your existing knowledge out slowly while you learn new things to blog about. 5. How do I Measure My Success? Your ultimate success may or may not financial. That is irrelevant for now. The success you are seeking here is traffic: the number of visitors that read your blog. Use Google Analytics on your blog, or at least an analytical plugin such as Jetpack. It is very important to understand the sources of your traffic. This gives you the chance to leverage the most common sources, and to take steps to up your promotion to those that have failed to provide visitors. While leveraging high traffic sources is essential, it is equally essential to understand where you are failing and to take steps to remedy that. By registering with Google+ you will be able to include your Google+ profile in your author links. Many blogs allow you to link your user name when you make a comment. Most forums will allow you the same. When you link back to your Google+ profile, not only do people learn a lot about you, but Google will likely give you ranking points – Google looks after its own! If you take each of the above points into consideration before you start blogging, then you will be in a good position to select the best blogging platform for you. That, however, is a different topic. 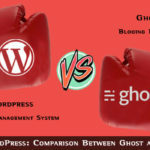 You have a fairly limited choice of popular blogging systems available to choose from. 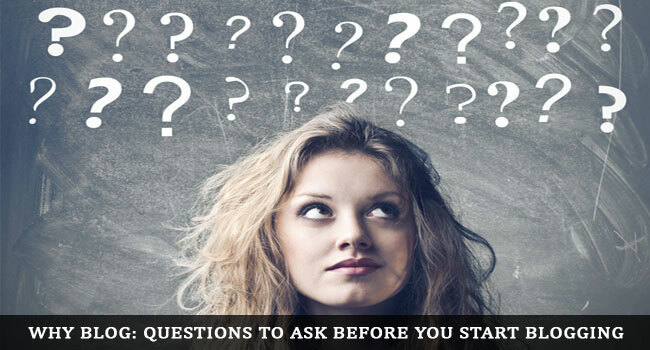 Without being sure of the questions to ask before you start blogging – particularly why blog – you will not be able to make the correct decisions.